You could have a 113,000-mile 2006-reg Range Rover 4.2 V8 Vogue SE for £10,000. 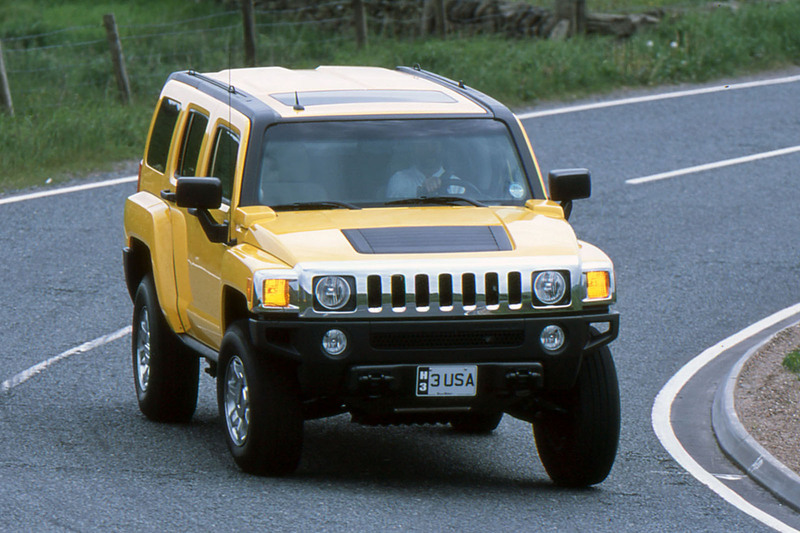 But how about a 40,000-mile 2003-reg Hummer H2 6.0 V8 auto for the same money? 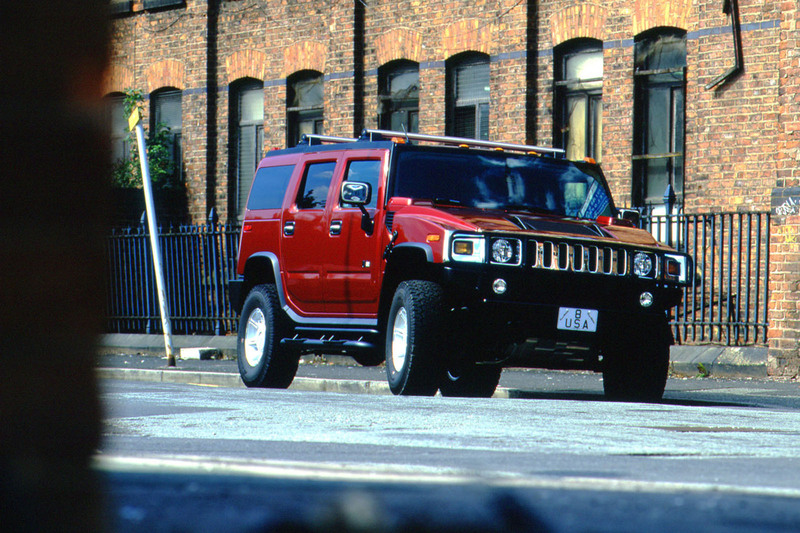 Once the chariot of choice for Premier League footballers but today more likely to be the school-prom limo, the Hummer H2 is the Buzz Lightyear of SUVs: from guardian of the universe to Mrs Nesbitt. That’s a shame because there’s a vehicle of real substance here. Too big and thirsty? There’s the smaller H3 powered by a 3.5, later a 3.7, petrol engine. It’s more than competent off road too, being able to wade through two feet of water, climb a 407mm step, crawl up a 60deg incline and traverse a 40deg slope. A 46,000-mile 2006-reg H3 3.5 converted to LPG could be yours for £13,495. 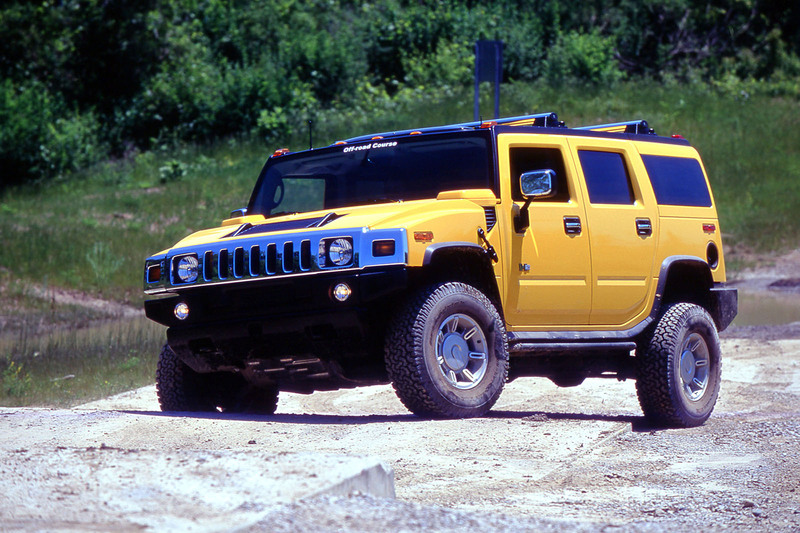 Of course, say ‘Hummer’ and it’s the military-based original, known as the Humvee, which in 1992 morphed into the Hummer H1, that everyone thinks of. 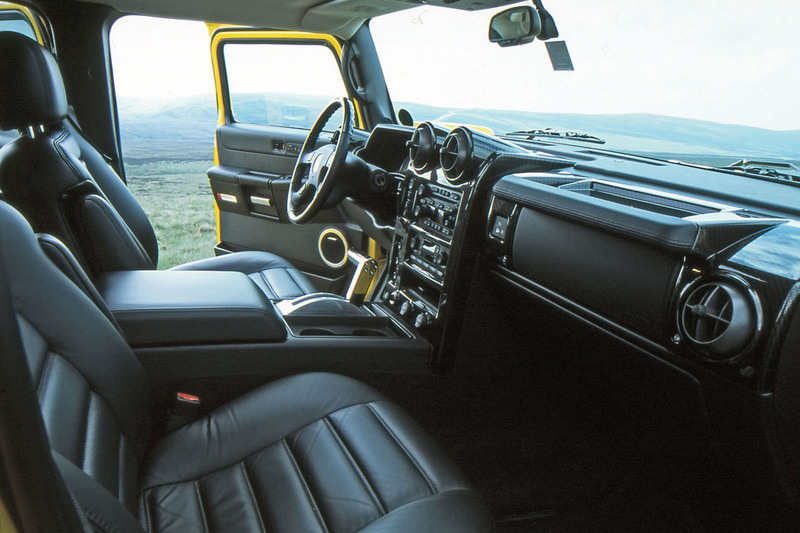 It was powered by a variety of diesel engines throughout its life (production ended in 2006) and today a 2001-reg H1 6.5 TD costs from around £40,000. But it’s an extreme old thing. The H2 and H3 are more manageable. Saying that, the H2, launched in the US in 2002 with a 312bhp 6.0-litre V8 driving all four wheels through a four-speed auto, is longer and higher than the H1 but, crucially, lighter. Depending on spec, it can seat six or seven people. Built by AM General, it took platform sharing to a new level, being constructed from one GM chassis at the front and another at the rear, the two separated by a unique centre section. Despite weighing just under three tonnes, it can do 0-62mph in a little over 10sec. In 2008, the H2 received a welcome facelift. The cabin was upgraded and the 6.0-litre engine became a 6.2, producing 388bhp, to give 0-62mph in 9.5sec. Three years before, in 2005, the H3 had landed. Built by General Motors in the US and South Africa, it’s based on the GM Canyon pickup and so is considerably shorter and lighter (it weighs closer to 2000kg) than the H2. Originally, it was powered by a 217bhp 3.5-litre straight-five, driving the wheels through a four-speed auto or a less popular five-speed manual. In 2007, this was replaced by a 3.7, developing 239bhp. Official imports of right-hand-drive H3s, type-approved for the UK, began in 2007. All others – left- hook H2s and H3s – required single vehicle approval (SVA) to establish their UK conformity. Any vehicle in receipt of a UK registration number should have been approved but it’s worth getting sight of the paperwork. Also check paperwork, including service receipts, for previous mileages. Production of both models ceased in 2009. There are enough H2s and H3s around to land a good ’un and although only the H1 is likely to achieve something akin to classic status, a sound H2 or H3 bought for sensible money should hold its value. You can’t say that about a Rangie. ENGINE - H2’s 6.0 V8 is tough and simple. Around one in 10 UK cars was supercharged and the engine could stand it but sometimes the auto gearbox couldn’t. Some early H3 3.5s had cylinder head issues. Valve seats could burn out. The only proper fix is a new cylinder head with hardened valve seats. Oil changes every 10k miles/12 months, platinum plugs every 100k. TRANSMISSION - Early H2s’ four-speed auto couldn’t handle the car’s mass. The later six-speed auto is much better. 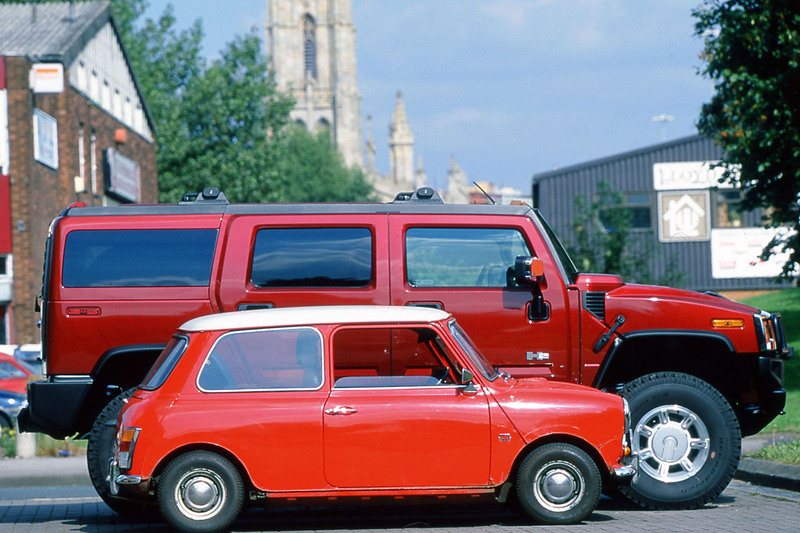 Some cars had the Adventure Pack (diff lock, high and low range). Check it all works. RECALLS - Don’t ignore the current GM recall concerning potential heater motor fires affecting Hummers built from 2005 onwards. Some notices may not have reached current owners. ELECTRICS - Check the lights work. Some sloppy importers may have fouled them up getting the car through its SVA test. BODY - You might see surface corrosion of the underside, but it’s tough steel down there and shouldn’t go structural. INTERIOR - Although they look plasticky and a bit fragile, the switches and buttons tend not to pack up. 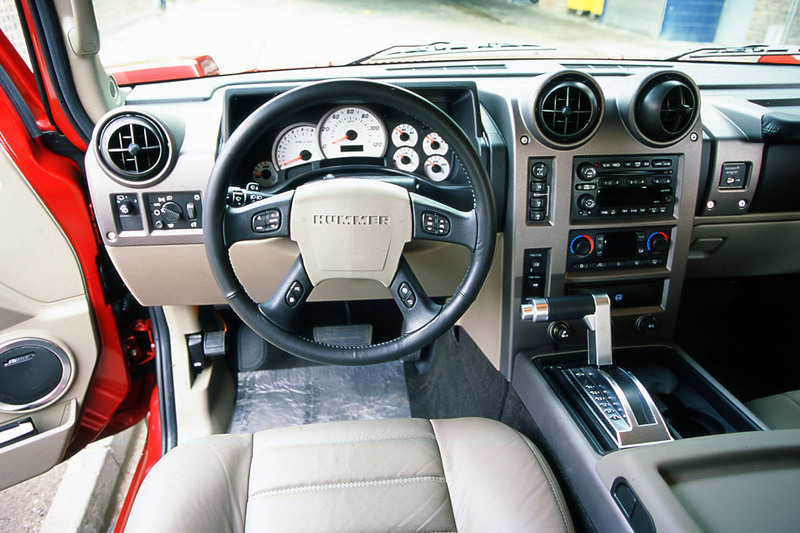 PAPERWORK - Left-hand-drive Hummers needed SVA at import but officially imported right- hand-drive H3s from 2007 were type- approved for Europe. Check all the DVLA and SVA paperwork is present. Also worth knowing Tyres can be tricky to source. Parts USA gets them from a Europe-based supplier but, when that runs out, it has to go direct to the US, which adds cost and time. Replacement shouldn’t be too often: H2 tyres can do 50k miles. £10,000-£13,495 - Mix of cars, including a 40k-mile 03- reg H2 6.0 for £10,600, a 107k-mile 06-reg H3 3.7 for £11,999 and a 46k-mile 06-reg H3 3.5 for £13,495. £13,500-£15,495 - More of the same, such as an early 82k-mile 05-reg H3 3.5 for £14,986. £15,500- £19,995 - Later H3s, including a 36k-mile 07-reg 3.7 for £15,995, but also earlier H2s, such as a 49k-mile 04-reg for £16,995 and a 55k-mile 04-reg for £17,995. MORE THAN £20,000 - A 71k-mile 05-reg H2 for £20,995, a 29k-mile 08-reg H3 for £22,995 and a 33k-mile 08-reg H2 for £26,000. HUMMER H2 (LPG), 2004/54, 55K MILES, £17,995 - Its £3000 LPG conversion promises much reduced running costs. Recent £1500 service included new plugs, and discs and pads. It comes with heated seats, leather, air-con, cruise, reversing camera and sat-nav. DVLA-recorded. A mate ran a H3 for a while. Everybody thought we were gangsters. Good times!